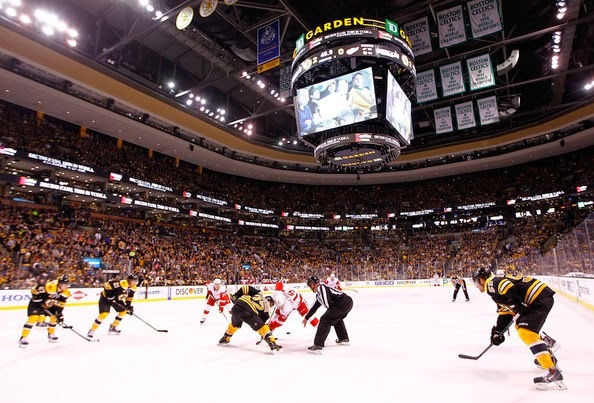 During a season that saw the Bruins finish with the Eastern Conference's best record, Bruins fans proved their loyalty to the franchise, enough to help the team finish third in local-market TV ratings during the 2013-14 season according to SportsBusiness Journal/SportsBusiness Daily. The ranking only represents franchises that make their Nielsen data available. Bruins games on NESN averaged a 5.04 rating in the Boston market. But the high rankings did not end there, as the Bruins also finished second in average audience size (123,000). This is an impressive display for the Bruins, which play in a media market that is only the seventh largest in the U.S according to Nielsen. The Bruins' high ratings are an example of the strong support the fans have for the franchise, which shows no signs of slowing down. With a two phase, $70 million renovation of TD Garden beginning this summer, the franchise appears to be once again heading in the right direction. As the fan-base remains strong, the renovated arena should be completed in time to ensure long-term success for the Bruins off-the-ice.